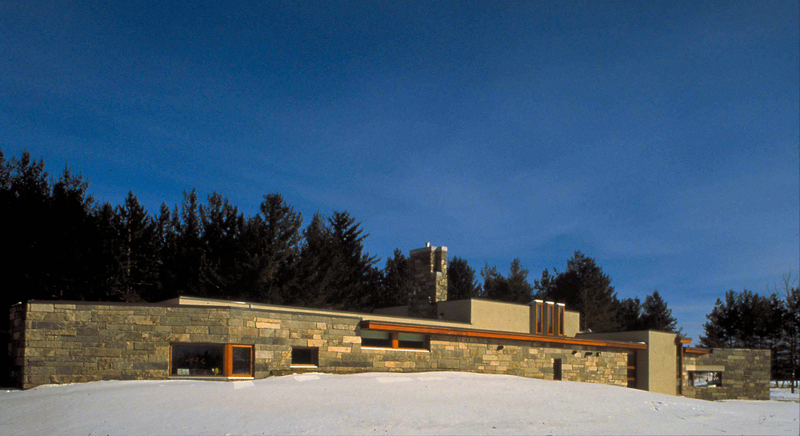 The Trent University Childcare Centre creates a welcoming, light-filled environment for children while simultaneously blending with the revered stone architecture of Trent University. 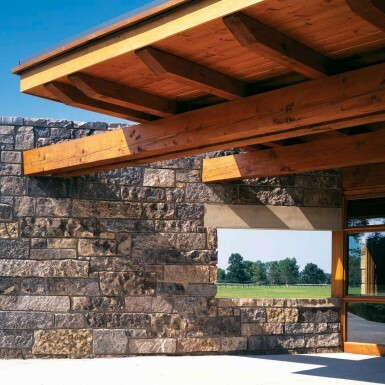 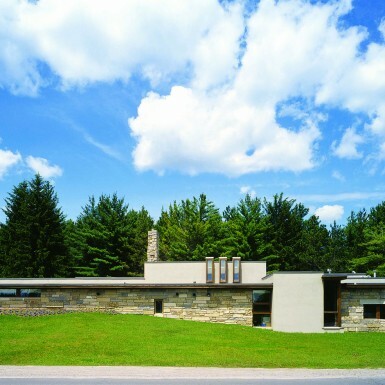 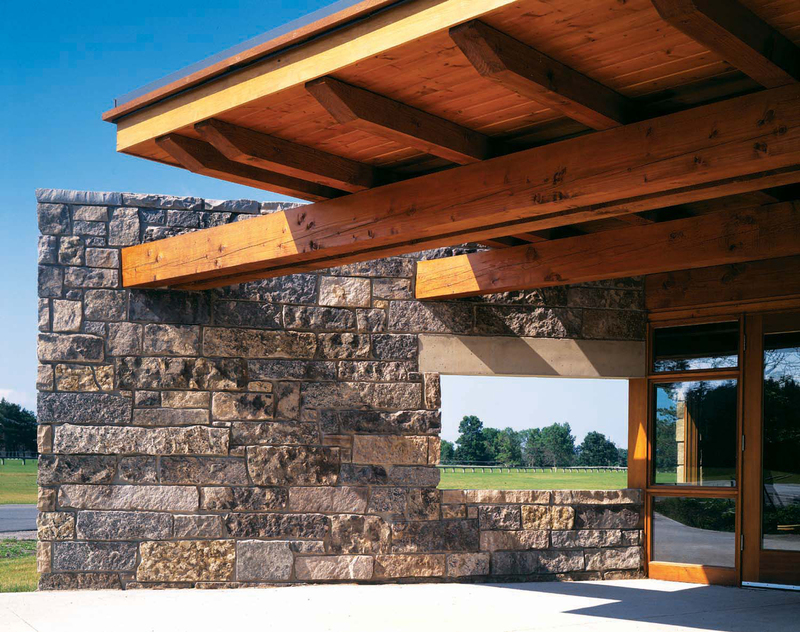 Stone is used as a masonry protecting wall, which shields the children from the busy campus entry road, while the playrooms open out to an enclosed playspace nestled into a woodlot at the back of the building. 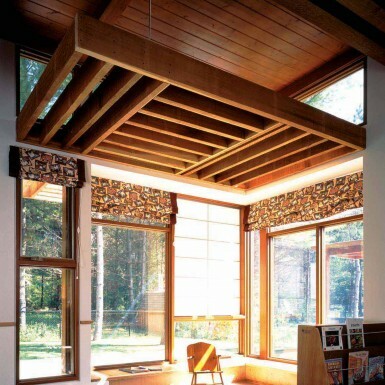 The childcare centre is focused around a central living room which acts as a common social space for all the children. 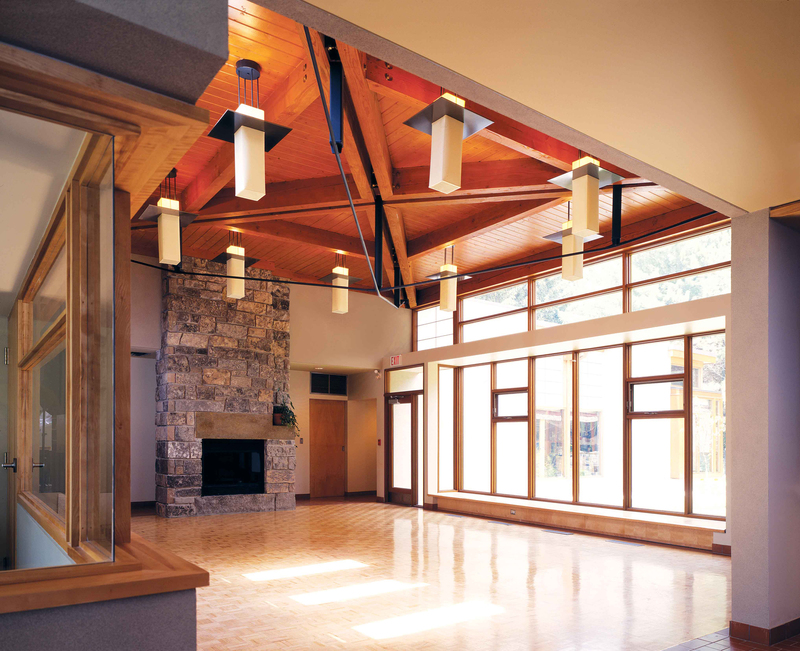 This space features a kite-shaped timber roof truss and a gas operated stone fireplace. 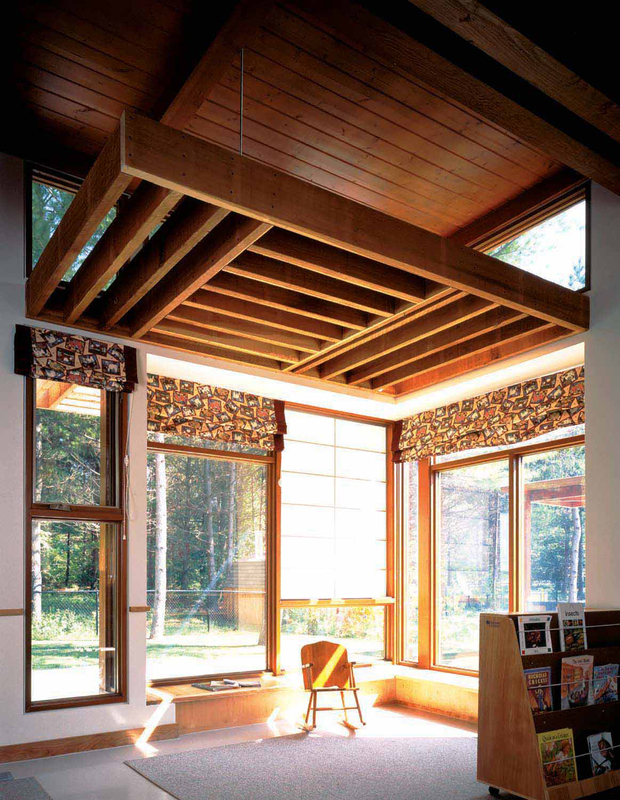 The room looks out onto a shared garden area which is situated between two playgrounds. 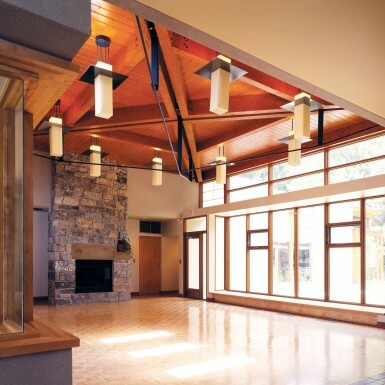 Custom-designed light fixtures, wood structures and windows create a warm residential character for the children. 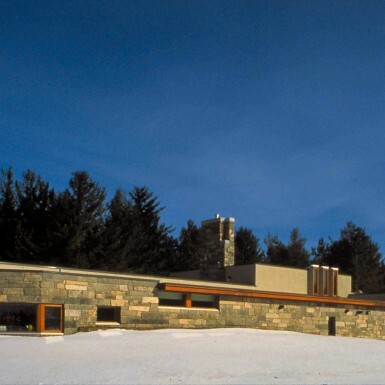 This childcare centre is used as a model facility by the Ontario Ministry of Community and Social Services.